A compact 4-place setting design in durable Satin White lacquered finish. 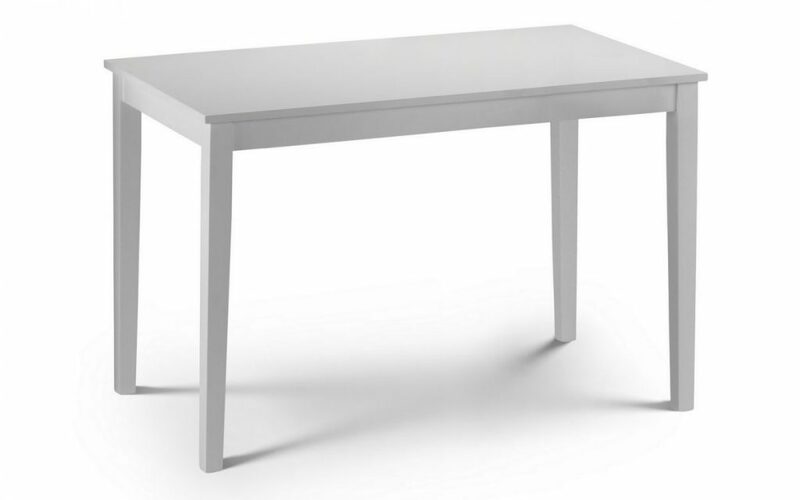 The Webb dining table is an attractive and yet solid & Sturdy table which is set in a really lovely white lacquered mdf and rubberwood construction. The range is sure to provide a serene and inviting focal point to your room with its sturdy craftsmanship which creates a look that is at home in both modern and period surroundings. 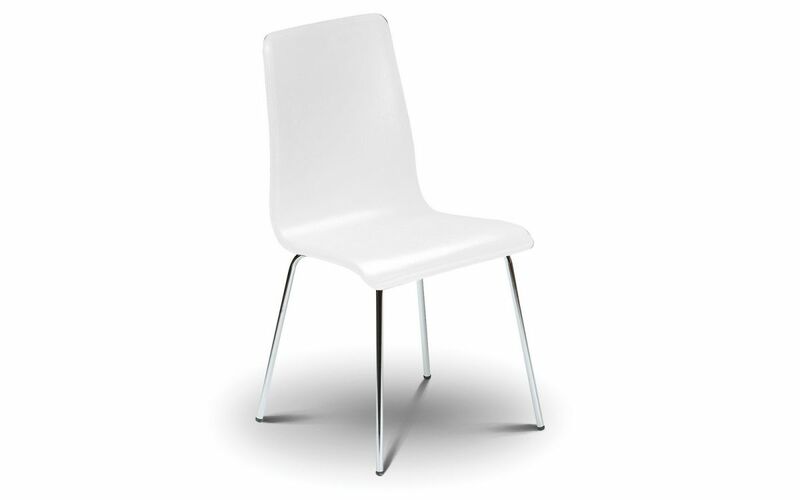 The Webb 4 dining chairs is an attractive and yet solid & Sturdy chairs which is set in a really lovely white back and seat pad with chrome plated metal legs. 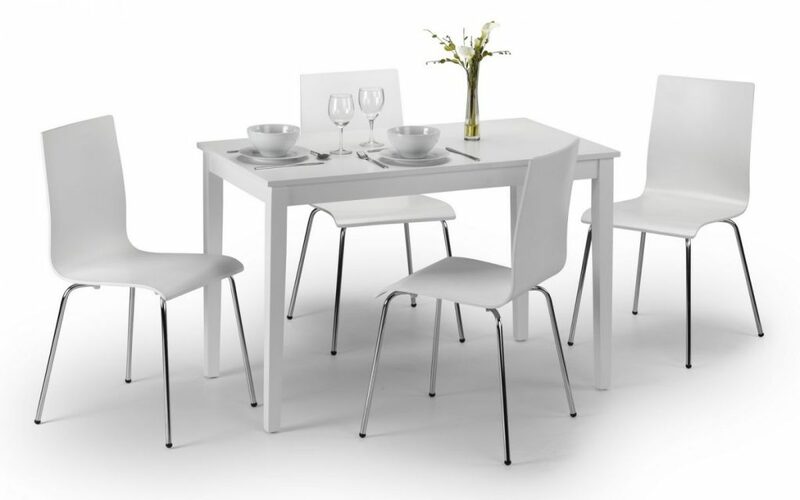 This dining table has a sleek style of furniture that is sure to convert your dining area into a stylish sophisticated area. Free delivery England and wales only, Scotland customers please contact us for a price.